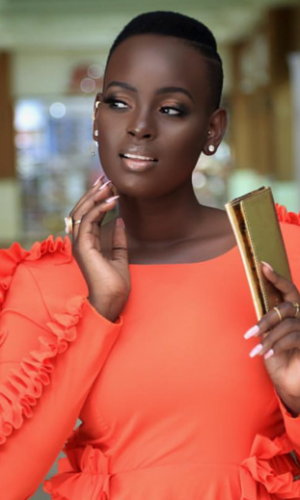 Miss Universe-Ghana 2018, Akpene Diata Hoggar, has arrived in Thailand, for the international finals of this year’s Miss Universe pageant scheduled to come off at the Impact, Muang Thong Thani in the Thai capital, Bangkok on Monday, December 17. “The country with the highest votes on social media gets an automatic qualification into the Top 16. “It will be nice if we could channel followers to support our beauty queen on all platforms ahead of time so that fans get familiar with her official social media pages,” the team said. The model arch, which has transparent pillars filled with pure gold flakes, represents the totality of the unity and identity of the Ghanaian people. Miss Hoggar will, in turn, present the arch to the Miss Universe Organisation as a national gift from the people of Ghana.